Search Results for "divorced african couple"
Sad cheating middle aged man in formalwear sitting on floor after fight dispute with wife. Couple making decision of breaking up get divorced with blurry woman with luggage leaving home in background. African handsome man in pajamas throws the dice and laughs. Multiethnic couple playing the board game on the floor. Multiethnic couple playing the board game together. African man holds a card, makes task, talks with caucasian woman. Beautiful multiracial couple dancing on bed. African man and european woman in pajamas hugs together. Romantic morning. Attractive multiethnic couple on the red couch. African man tenderly touching the caucasian woman s hair. Slow motion. Young multiracial couple dancing in the morning in light apartment. African man and european woman have fun together. African man in pajamas brings pizza to hungry caucasian woman. Multiracial couple in pajamas smell the fast food. Multiracial couple in pajamas on the bed uses the smartphone. 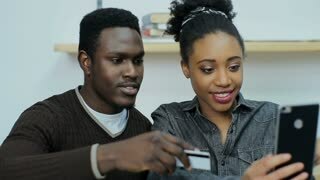 African man and european woman browse the Internet. Handsome african man throws the dice and moves on the field. Multiethnic couple playing the board game together. Rear view of multiracial couple lying on the bed and use smartphone. African man and european woman looks photos. 1950s: African men wearing capes and hats with horns perform dance. Village by river, African men hold spears. Indigenous American men laugh, work with their hands. Elderly African couple talks.